This year, over 252,710 women in the U.S. will be diagnosed with breast cancer. 80% won’t have any genetic predisposition to the disease. More than almost any other serious disease, breast cancer touches nearly all of us, whether we’re women or men, old or young. Your chances of knowing a woman with breast cancer is almost 100%. Every year, about 1,500 men will be diagnosed with breast cancer, too. Yet it is becoming particularly clear that you can prevent cancer with healthier diet and lifestyle choices. A report by the United States Academy of Sciences on the relationship between diet and cancer recommended greater emphasis on fresh (i.e., raw) fruits and vegetables, preferably non-GMO or certified organic. Vitamins A, C and E, which are found in all fresh green leafy vegetables and fruit have been shown to prevent cancer. The National Academy of Sciences 1982 report on diet and cancer was the first to make clear the link between diet and cancer. Now, the new Diet & Cancer Project report clearly establishes that the foods we choose play an overwhelming role in fighting cancer. 1. Eating right, plus staying physically active and maintaining a health weight, can cut cancer risk by 30% to 40%. 2. Recommended dietary choices coupled with not smoking have the potential to reduce cancer risk by 60% to 70%. 3. As many as 375,000 cases of cancer, at current cancer rates, could be prevented each year in this nation through healthy dietary choices. 4. A simple change, such as eating five servings of fruits and vegetables each day, could by itself reduce cancer rates more than 20%. 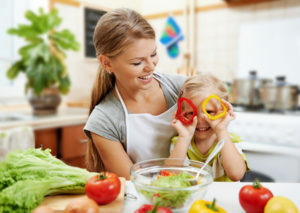 Though more non-GMO or organic fruits and vegetables have been recommended by numerous health agencies as one way to reduce risk of developing cancer, many of the studies using fruits and vegetables don’t make a clear distinction between cooked and uncooked, and therefore don’t make it clear that uncooked fruits and vegetables are the best source of the ingredients known to reduce cancer risk. In fact, some studies actually have shown that cooking destroys some of the ingredients in fruits and vegetables known to help in cancer prevention. Obviously, since the ingredients needed to prevent cancer are destroyed or degraded by cooking, and perhaps not properly assimilated or digested after cooked as well, it is clear that RAW, uncooked, whole, living fruits and vegetable are the best choices for cancer prevention. Does the consumption of fruits and vegetables decrease the risk of cancer? There is strong evidence from epidemiological studies that eating more fruits and vegetables decreases risk of developing cancer. This conclusion is strengthened by the similar results obtained from animal studies and experiments using isolated cells. Remember, raw, uncooked fruits and vegetables are probably the best source of nutrients known for their cancer prevention properties. 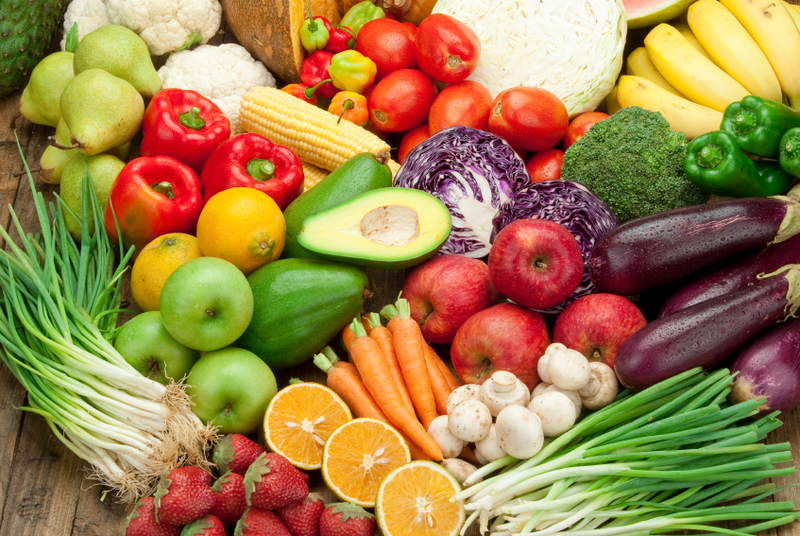 Which fruits and vegetables have been associated with a decreased risk of cancer? Most of the studies report that the consumption of vegetables is more strongly linked to cancer risk reduction than the consumption of fruits. Specifically, there is stronger evidence for carrots, other yellow-orange vegetables such as squash and sweet potatoes, and dark green vegetables, such as broccoli and spinach. All of these foods are good sources of nutrients such as vitamin C and carotenoids. There is also some evidence that raw vegetables may be more protective against the development of breast and other cancers than cooked vegetables. This may be because some of the natural chemicals found in vegetables (see below), which are thought to confer this protection, are damaged by heat. Several studies have reported that the consumption of foods containing high amounts of vitamin C or carotenoids, some of which can serve as sources of vitamin A, may reduce a woman’s risk of developing breast cancer (see below for a list of these foods). How much do I have to eat to reduce my risk of cancer? Although it is difficult to specifically state how much of a particular fruit or vegetable a is needed to reduce risk of developing cancer a sample of the data from studies can provide some guidelines. In a large cohort study, the Nurses’ Health Study, researchers reported a 17% lower rate of breast cancer among women who consumed at least 2 servings per day of fruits and vegetables as compared to those who consumed less than 1 serving per day. In another recent study, the consumption of more than 5 servings per day of vegetables versus less than 3 servings per day was associated with a 54% reduction in the breast cancer rate. Most Americans need to nearly double their intake of fruits and vegetables to meet the 5 or more per day recommendations. According to the 1996 Behavioral Risk Factors Surveillance System survey, only 28% of the women surveyed in New York State reported consuming 5 or more servings of fruits and vegetables a day. What do fruits and vegetables contain that may influence the risk of cancer? Carotenoids– Carotenoids are chemicals found in yellow and orange vegetables and fruits, and in dark-green leafy vegetables. Certain fruits and vegetables contain particularly high amounts of specific carotenoids. Sweet potatoes and carrots are especially high in beta-carotene. Kale, spinach, parsley and mustard greens contain high amounts of lutein. Lycopene is a carotenoid found in high amounts in tomatoes. Some (but not all) carotenoids can be converted to vitamin A in the body. Foods that are particularly high in the pro-vitamin Acarotenoids include cantaloupe, carrots and sweet potatoes. Vitamin C or Ascorbic acid – Vitamin C is found in citrus fruits and juices, such as grapefruits and oranges. Other good sources of vitamin C are green peppers, cauliflower, broccoli, tomatoes, strawberries, melons, cabbage and leafy green vegetables. Vitamin E – Foods high in vitamin E include broccoli, kohlrabi, cilantro, turnip greens, spinach, avocados, blueberries, mangos, ripe olives, and especially nuts. Other plant sources of vitamin E include vegetable oils and whole grains. Folic acid – Folic acid is a vitamin found in relatively high concentrations in green leafy vegetables, asparagus, lima beans, broccoli, beets and several types of beans. It is found in moderate amounts in oranges and orange juice. Selenium – Selenium is a mineral which plants obtain from the soil and the higher the concentration of selenium in the soil, the higher the concentration of selenium in plants. Many animal studies have demonstrated anti-carcinogenic effects of selenium in the form of supplements to diets or in selenium-enriched foods such as garlic grown in selenium-rich soil. Dietary fiber – Dietary fiber includes both cereal and vegetable fiber. Most fruits and vegetables contain fiber. Fruits and vegetables that contain high amounts of fiber are apples, blackberries, grapefruits, oranges, raspberries, and broccoli. Dithiolthiones and glucosinolates – These natural chemicals are found exclusively in cruciferous vegetables, such as brussels sprouts, cauliflower, cabbage, broccoli, rutabaga and turnips. Phytoestrogens – These are substances found in plants that act like weak versions of the hormone estrogen. When consumed, phytoestrogens may decrease the level of estrogen circulating in the body. Women who have high levels of circulating estrogen throughout their childbearing years may have an increased risk of breast cancer. See BCERF fact sheet #1 for more information about phytoestrogens and breast cancer risk. Foods high in phytoestrogens include soybeans, dried beans and peas, and bean sprouts. There are many other natural chemicals in fruits and vegetables that researchers are currently studying. Information on these potential cancer preventing chemicals is preliminary. These chemicals include isothiocyanates and thiocyanates (in brussels sprouts), flavonoids (in berries), coumarins (in citrus fruits), phenols (in almost all fruits and vegetables), protease inhibitors (in legumes), plant sterols (in vegetables), isoflavones,saponins, and inositolhexaphosphate (in soybeans), allium compounds (in garlic), limonene (in citrus fruit oils), and resveratrol (in grapes). How might fruits and vegetables influence the risk of cancer? Stimulate cell differentiation and stop cell division. The term differentiation refers to the process by which a cell in the body becomes mature and gains all of the features that it needs to work properly. Cancer cells divide, ignoring all signals to stop, and they do not differentiate properly. A compound in fruits and vegetables, such as carotenoid-derived vitamin A, that encourages a cell to differentiate will interfere with the process of uncontrolled abnormal division typical of cancer cells. Also, remember that cooking destroys all the enzymes in food! Enhance immune function. The consumption of fruits and vegetables may strengthen the immune system which is the body’s defense against disease and cancer. This has also been strongly correlated to enzyme function, and of course, raw whole food is the only source of living enzymes. Alter estrogen levels. Estrogen is a hormone that is necessary for childbearing, and bone and heart health in women, but the lifetime exposure to estrogen may influence breast cancer risk. Estrogen is normally broken down into different forms in the body. Some parts of fruits and vegetables, such as glucosinolates in broccoli, cause the break-down of estrogen to weaker forms of the hormone. Women who do not have breast cancer seem to have higher levels of the weaker forms of estrogen than do women with breast cancer. Are dietary supplements associated with a decreased risk of breast cancer? Although several studies have reported a decrease in the risk of breast cancer associated with the consumption of particular vitamins and carotenoids, these studies were basing their analysis on the vitamin content of particular foods, not supplements. And again, cooking reduces the nutritional content of such foods. In some studies, researchers reported that the intake of specific vitamin supplements or multivitamin supplements had no influence on the risk of breast cancer. It is possible that currently unidentified components of fruits and vegetables are responsible for their influence on breast cancer or that the real effect of fruits and vegetables may require the natural â€œwholeâ€ combination of nutrients and other chemicals found in these foods, especially when they are not destroyed by cooking. Does eating a vegetarian diet reduce cancer risk? Two studies were unable to show an association between eating a vegetarian diet, either during adolescence or as an adult, and a reduced risk of developing breast cancer. A few studies report lower levels of hormones, such as estrogen, in the bodies of vegetarian versus non-vegetarian women. Also, studies that compare the risk of breast cancer between different cultures, such as American versus Asian, have reported a decrease in the risk of breast cancer among women who consume a plant-based diet. However, scientifically there is not enough information to establish a solid conclusion that a vegetarian diet reduces the risk of breast cancer. However, use your common sense – if some studies indicate that fruits and vegetables reduce the risk of cancer, plus other studies show that there are known carcinogens formed by cooking animal products (see my article on Toxins Created by Cooking), then it isn’t hard to conclude that a diet consisting of whole fruits and vegetables will significantly reduce the intake of carcinogens while increasing the consumption of nutrients known to prevent cancer. Should I worry about pesticide residues on fruits and vegetables? Although researchers are still debating whether or not pesticide residues on foods pose a risk to consumers, most experts agree that the benefits of eating more fruits and vegetables outweigh any risks from possible pesticide residues. However, all fruits and vegetables should be washed before eating. In my opinion, since the chemicals used on vegetables and fruits are water soluble, the healthy digestive/elimination system of a person eating mostly raw foods can easily eliminate 99% of any such residue anyway. The exception these days are GMO (genetically modified) foods. These foods have been shown to be related to many types of diseases. Most notably, glyphosat, a chemical; used on GMO crops, apparently stays int he body and doesn’t break down (which was promised by Monsanto of course, falsely). I recommend avoiding all GMO foods — they’re really just not fit for human consumption. So choose either certified non-GMO foods or organic foods. Does eating fruits and vegetables help cancer survivors? Few scientific studies have assessed whether the consumption of fruits and vegetables after the diagnosis of cancer affects survival. One study reported that the consumption of fruits and vegetables high in nutrients such as beta-carotene before the diagnosis of breast cancer improved survival. Two others found no association or only a very small association between women’s diets and breast cancer mortality. Since the natural chemicals found in whole fruits and vegetables have been shown to prevent cancer in many different ways, however, it seems to me, in my common sense approach, that the consumption of fruits and vegetables after the diagnosis of breast cancer may help to fight the progression of the disease and help women stay healthy. More research is needed to determine if other lifestyle choices, such as smoking and the consumption of alcohol, may alter the influence of fruits and vegetables to prevent cancer. Some of the components in fruits and vegetables are being tested in human clinical trials. The National Cancer Institute is currently conducting a clinical trial with fruits and vegetables to assess their protective effect. More research is being done to determine if the consumption of fruits and vegetables can prevent cancer and improve survival. What is the best way to add more fruits and vegetables to my diet? If you have children, ask them to help make fruit or vegetable salads. This will help establish good habits. Adapted from article by Julie A. Naieralski, PhD. and Carol Devine, PhD, RD, BCERF, Program on Breast Cancer and Environmental Risk Factors, New York State. Originally published here in 2008. Updated April, 2017. Click here for our extensive bibliography on cancer research associated with the benefits of raw fruits and vegetables. As much as 30% of breast cancer risk is linked to the way we eat … more fruits and vegetables may an easy way to reduce risk of breast cancer. – Choose a diet rich in a variety of plant-based foods. 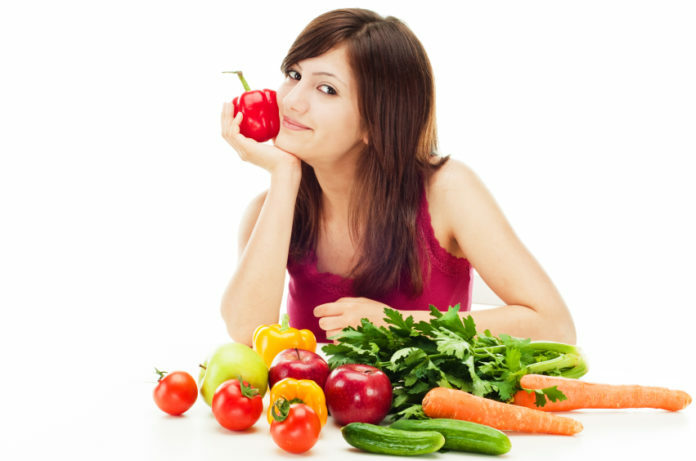 – Eat plenty of fresh vegetables and fruits. – Drink alcohol in moderation, if at all. – Select foods low in fat and salt. – Prepare and store foods safely. – Do not smoke or use tobacco.